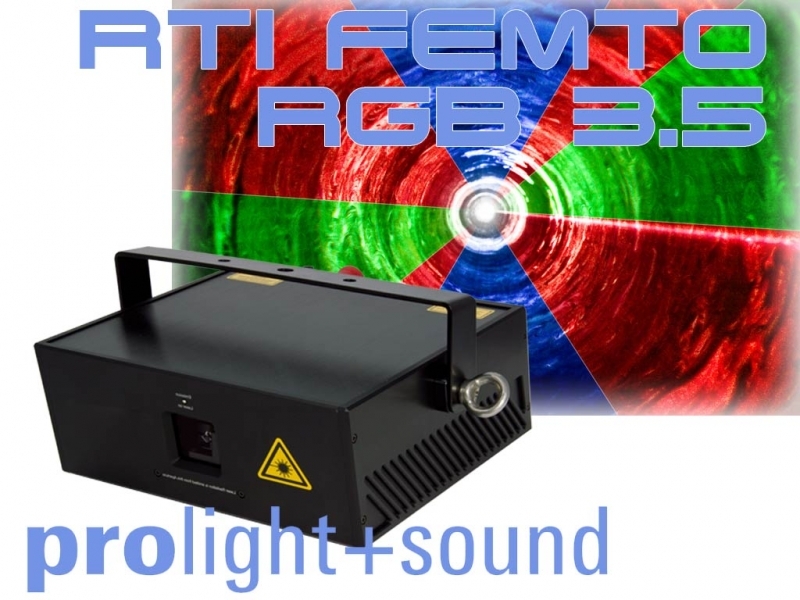 In the course of the Prolight+Sound 2014 in Frankfurt/Germany, the Laserworld (Switzerland) AG presents its two latest product series: the RTI ATTO and the RTI FEMTO Series, launched end of 2013. The manufacturer’s promise: low-priced, diode equipped systems of German quality. Both series offer very compact laser systems, which are completely equipped with diodes, which guarantee great beam specifications. With their low divergence of 0.8mrad, even longer distance projections are possible. The new fast RayScan scanners, manufactured by the Laserworld subsidiary RTI, come with up to 45kpps@8° and make the devices perfect for a wide variety of applications – whether professional or basic ones, whether beam or graphics show. A scanner upgrade to CT-6210H (60kpps@8° ILDA, with special RTI driver) is possible. 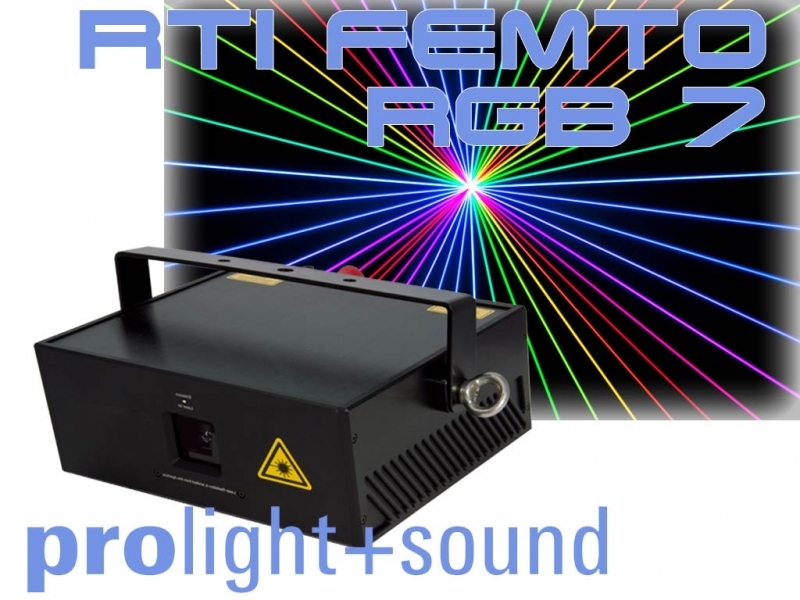 The combination of bright 638nm red, 450nm royal blue and 520nm green diodes ensure brilliant colors with high definition, a linear color fading and great color stability of the semiconductor laser sources. 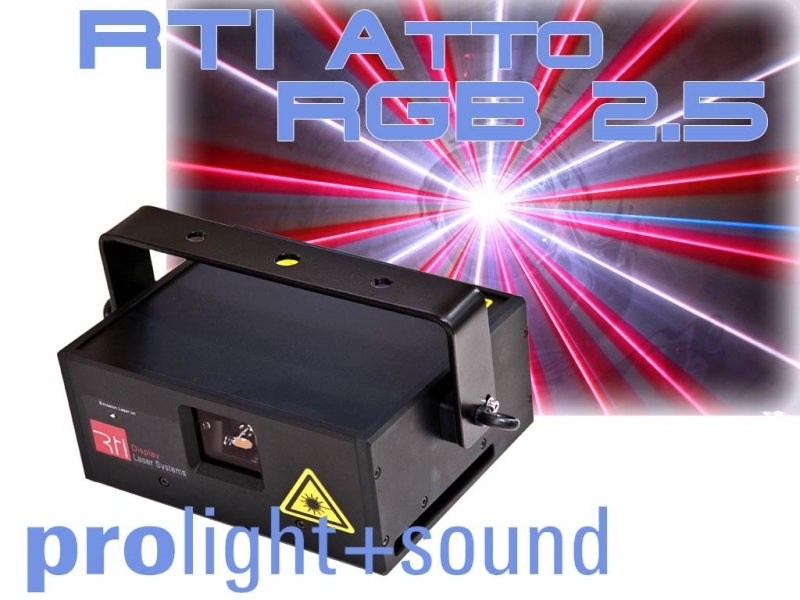 The RTI ATTO Series provides two power levels: the RTI ATTO RGB 1.7 with a guaranteed power of 1.600mW and the RTI ATTO RGB 2.5 with a guaranteed power of 2.300mW after aperture. Color balancing and scanners can be adjusted with trim pots at the back side of the housing. A useful feature of the ATTO units is the integrated power supply, what makes them very handy. This may be an interesting fact for mobile DJs, rental companies and the like, as standard power cables can be used. Standard control is via ILDA, but Laserworld also offers different other operation modes, like DMX, LAN and Stand-Alone mode. 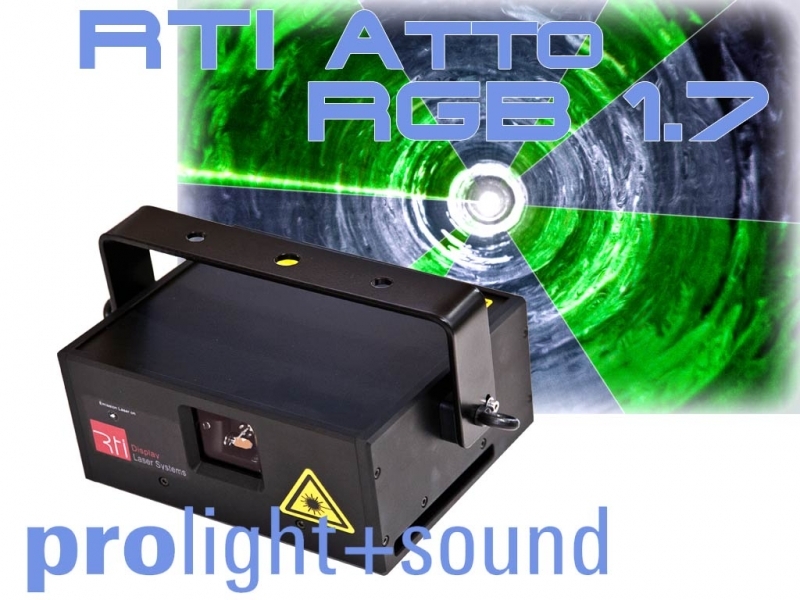 “Laserworld cares a lot about safety,” says Norbert Stangl, Sales and Marketing Director of the Laserworld Group, “hence the RTI ATTO off course complies with European and U.S. safety standards. It is equipped with a 9-pin SubD standard interlock connector and a safety key switch. 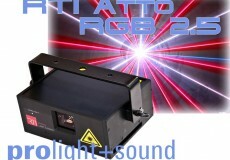 The whole system has an advanced scan fail safety for additional laser scan safety”. FB3 SE (provides DMX control feature, Stand-Alone mode and timer features) or MicroNet integration (for LAN control over TCP/IP with Phoenix Showcontroller software. Also provides DMX and Stand-alone features). Even W-DMX is an option, Laserworld offers. But the FEMTO Series also comes with two new features: the remote pad provides the option to set a safety zone. Thus the power may be reduced in the audience zone. This reduction can be individually set per color in order to conserve color balancing. A very special feature is the Signal Threshold Level (STL) Technology. With a few clicks it is possible to re-adjust the ILDA signal to alter signal power threshold. This is especially useful if there is low current signal noise or blind current.